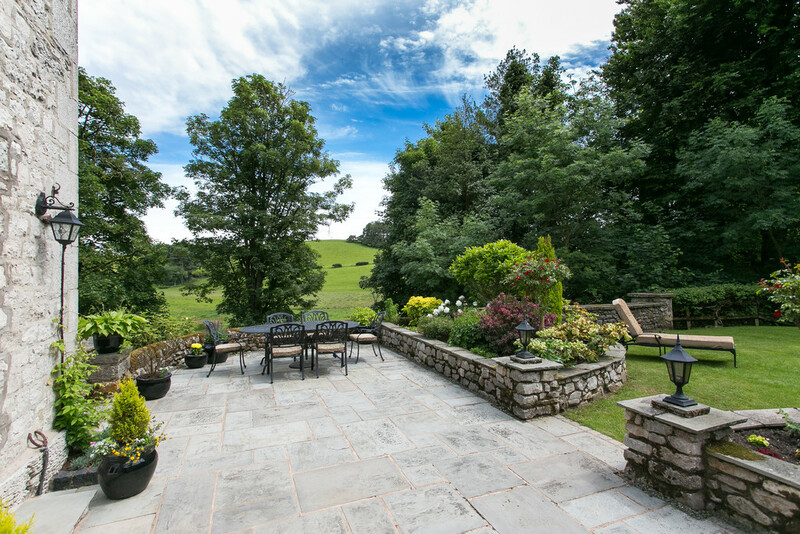 Formerly the coach house of the Hawkshead Estate, this grand period property has in present day been converted into a stunning home set within approximately 1.5 acres of private grounds. 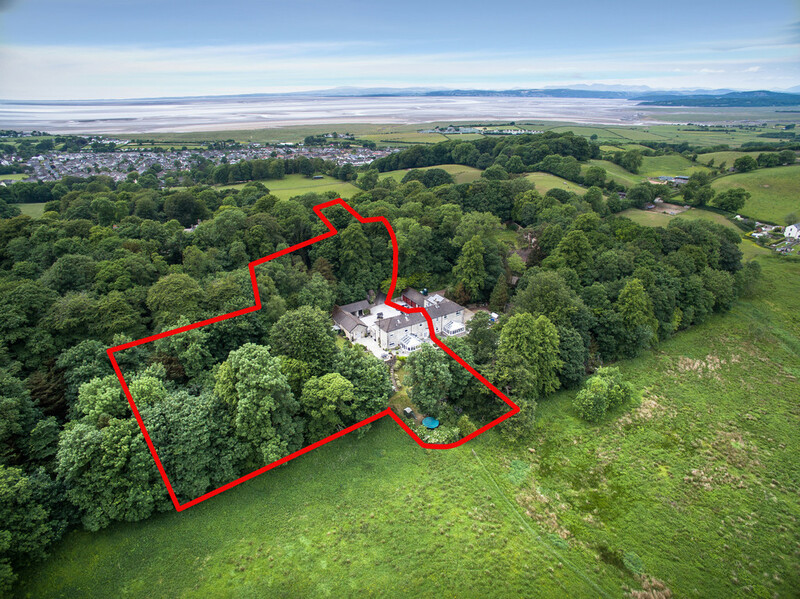 This elegant property is a hidden gem within the popular family led village of Bolton le Sands, its private yet convenient setting is sure to appeal to a range of buyers. Surrounded by woodlands and open countryside, its hard to believe you are just minutes away from the active community. 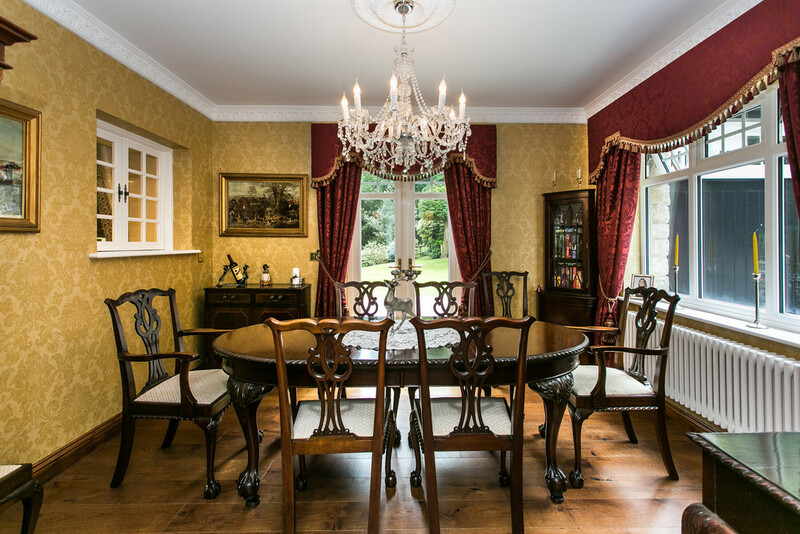 The impressive and tastefully furbished interiors are in keeping with its heritage, with high ceilings finished with detailed cornicing, grand fireplaces, exposed ceiling beams and luxury finishes. 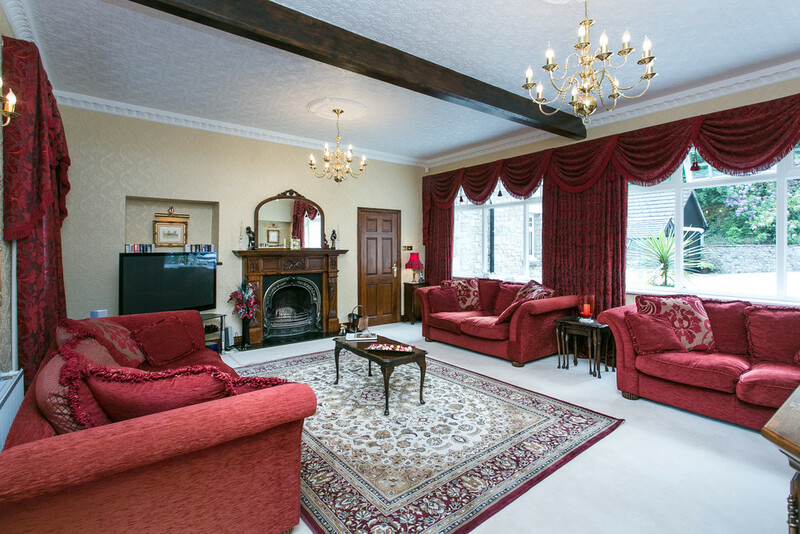 There are a total of four reception rooms and a dining kitchen to the first floor and four double bedrooms and a further reception space set across a first and second floor. 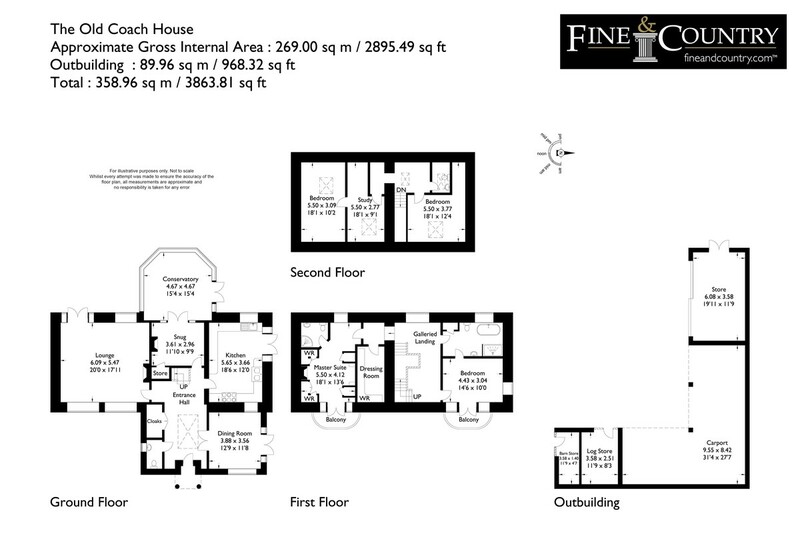 This includes the master suite with a dressing room and ensuite and there is a family bathroom and further WC. 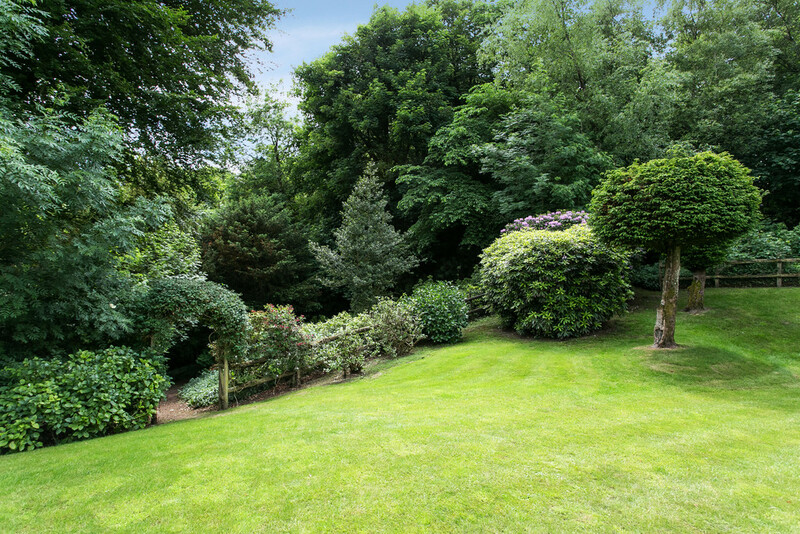 Externally, the grounds are a mix of beautifully landscaped formal gardens and stunning stone flagged terraces mixing into an adjoining private woodland, the perfect playground for children to explore. 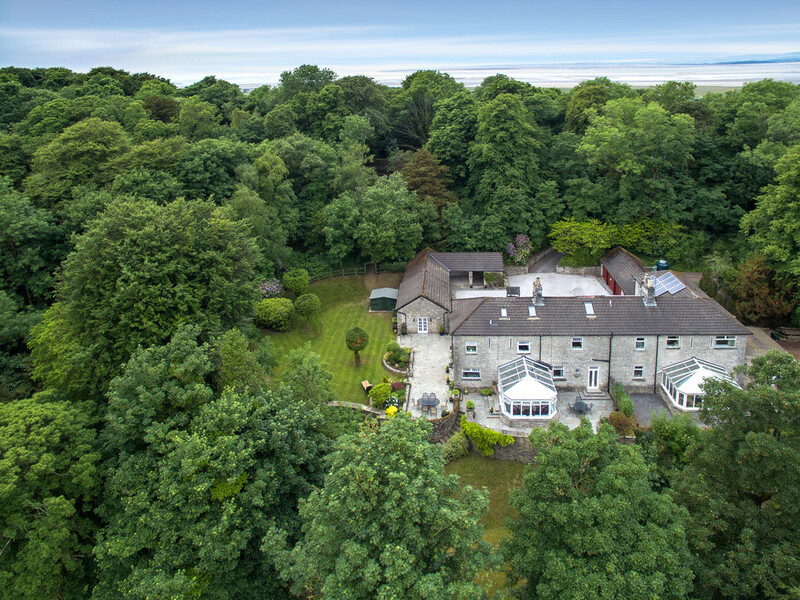 A long sweeping driveway bounded by the tall trees of the woodland ensure privacy and peace, opening into a turning circle parking area affront the detached, stone built double garage and triple carport. 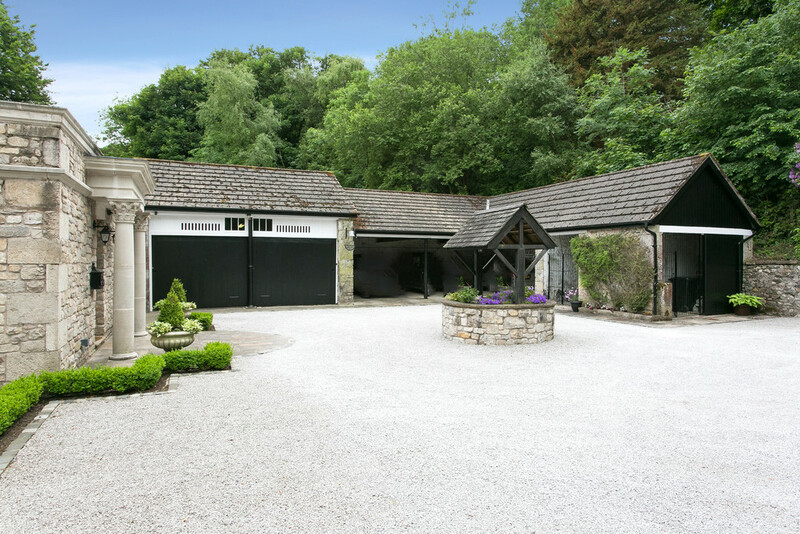 The double garage also presents an exciting potential as it formerly held outline planning permission for conversion into a separate dwelling. It would make for a fantastic annexe or holiday let potential, subject to relevant planning consents, or even at present it could be utilised as a home office or workshop. 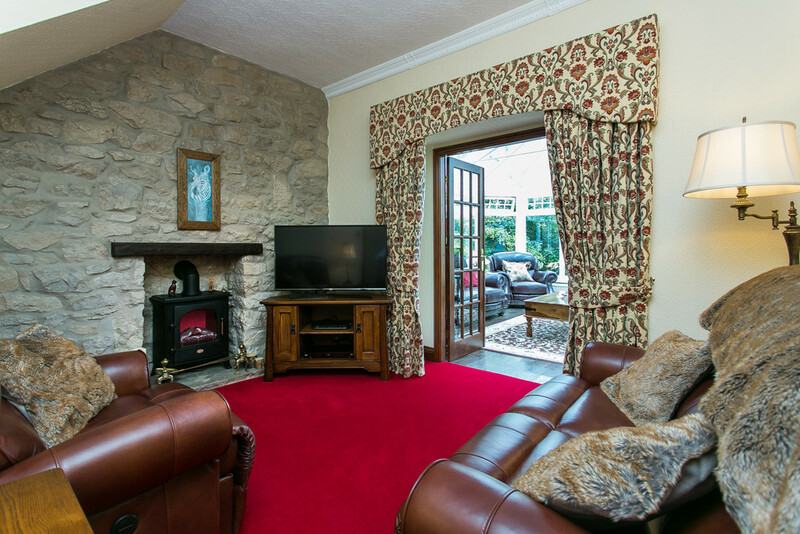 Bolton le Sands is a lovely community led village located along the shores of Morecambe Bay. It is surrounded by stunning walks along the sands, canals and across the local countryside, all available right from your doorstep. 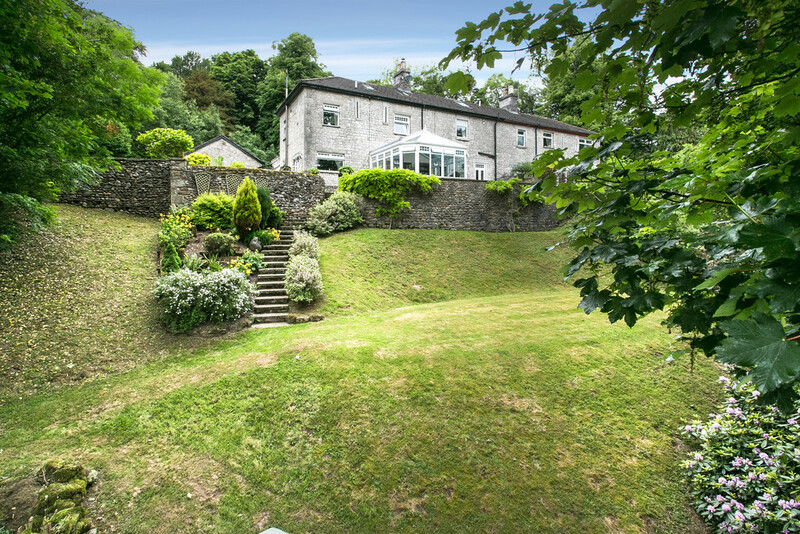 Centred around the popular primary school, rated outstanding by Ofsted and the nursery, you are also well placed for excellent secondary schooling such as the renowned Lancaster Boys’ and Girls’ Grammar Schools. Within the centre there is are several independent shops, eateries, children’s park, sports pavilion and fields playing host to a range of sporting activities, a popular pub and local restaurants. 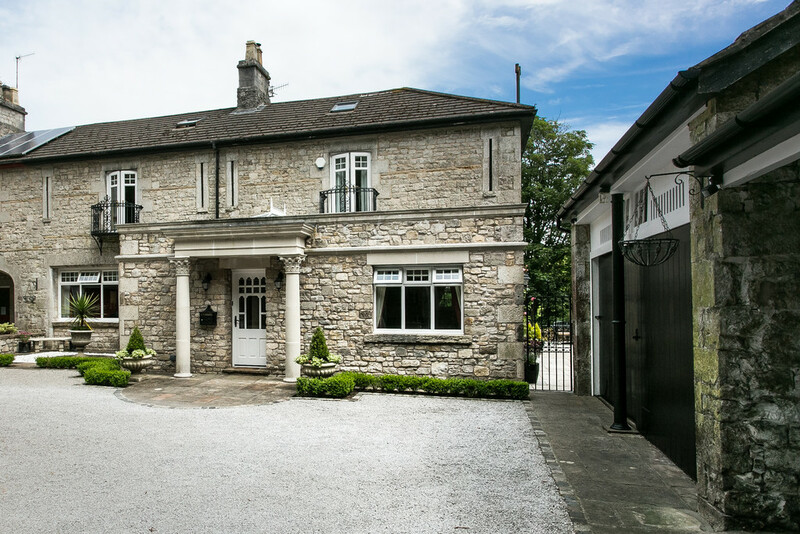 It is conveniently located for commuters with the Bay Gateway in Slyne providing easy access to the M6 and the nearby Carnforth train station giving access to the West Coast Mainline. The historic City of Lancaster is also located approximately 5 miles away. 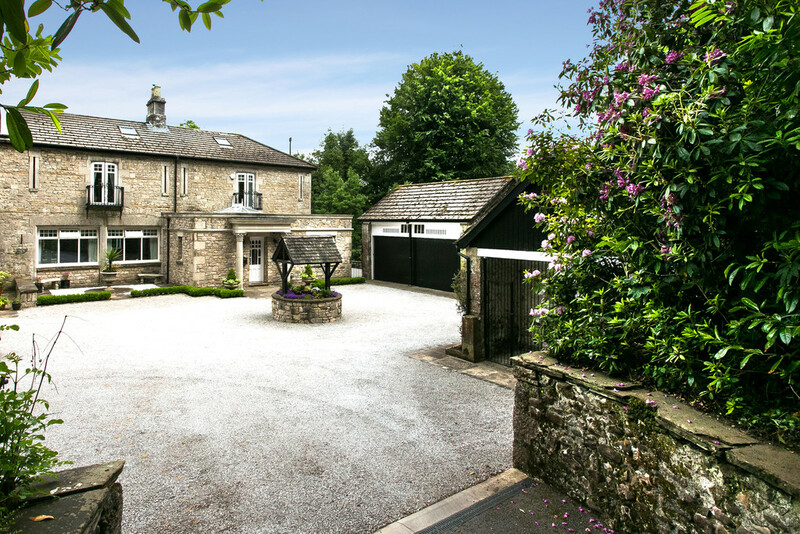 The sweeping driveway is flanked by the woodland, leading up to this attractive stone built period property to a gravelled turning area, centred around an original stone well. 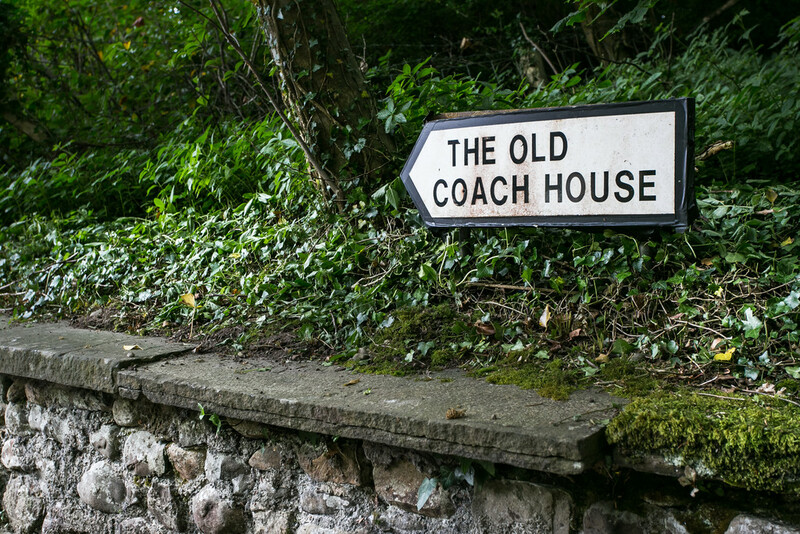 The grand entrance to The Old Coach House is a new extension that blends seamlessly into the property. 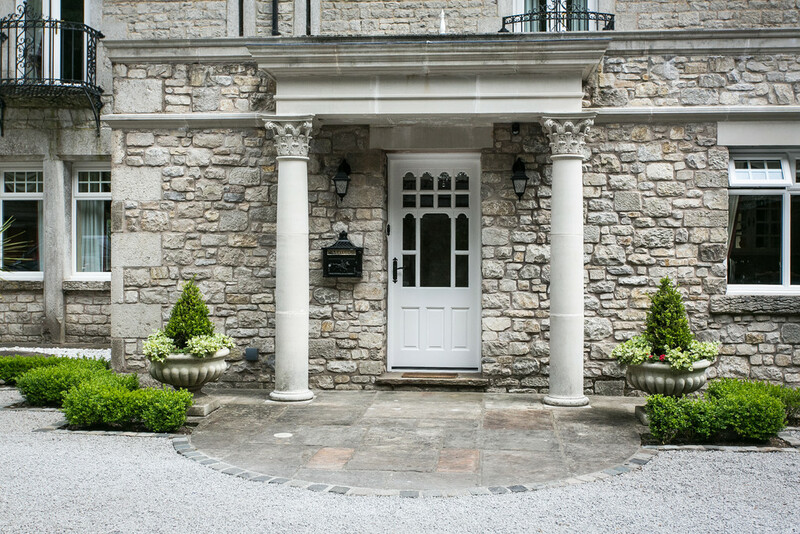 Tall stone pillars frame the decorative glazed panelled door that accentuates the character of the property. 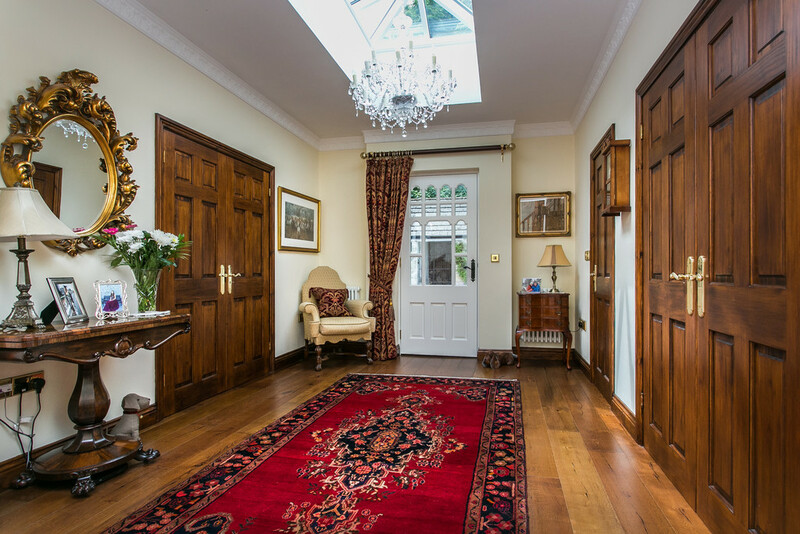 Opening into the large entrance hall, a formal welcome into this impressive home with rich solid oak floors and detailed coving matching that of the original house. The space is filled with natural light afforded by the impressive glass roof lantern. There is a WC accessed from here, fitted with English Heritage sanitaryware, and double doors open into a very handy cloaks cupboard. Double doors open into the dining room which enjoys a dual aspect. Being part of the extension, the original window has been retained and utilised as a lovely feature and serving hatch into the kitchen. French doors open up onto the terrace, making this the perfect space for entertaining, especially during the summer months. Leading on into the original portion of the property, believed to have been built during the 1800s, and into the grand sitting room. This very generously proportioned formal reception space has been beautifully finished with large windows set in the place where the coaches would have originally arrived into. 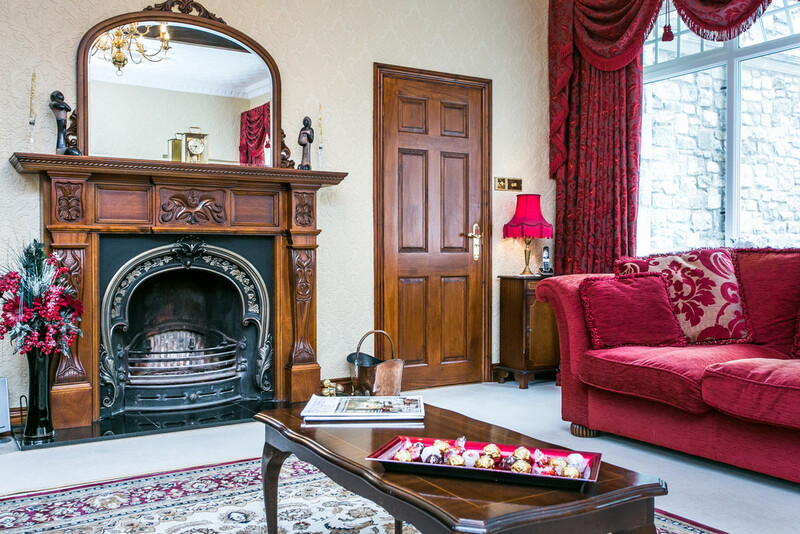 Lovely features are found with the detailed cornicing and ceiling roses and there is an open fire with cast iron surround and a hand carved wooden mantle and granite hearth. 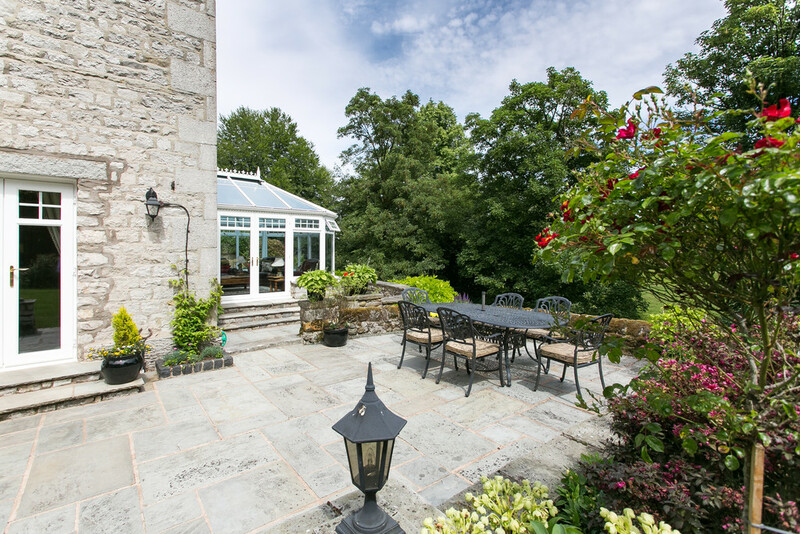 French doors also open out onto the terrace with a lovely sun trap seating area. A cosy snug with a Dimplex electric stove and exposed stone walls is the perfect peaceful retreat for a more informal reception space. 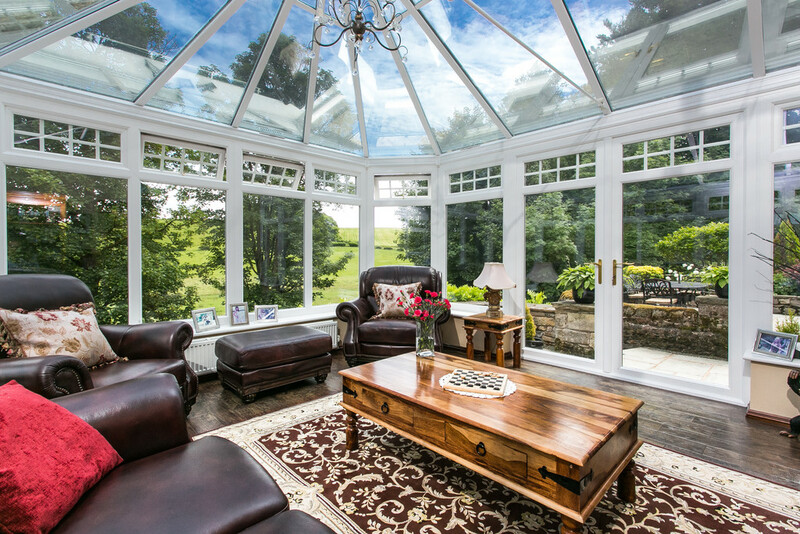 This leads into the stunning conservatory, the ideal space from which to take in the lovely garden outlook and local wildlife enjoying the open countryside. The floors are attractively finished in Karndean and french doors again open out onto the terrace that wraps around the rear of the property. 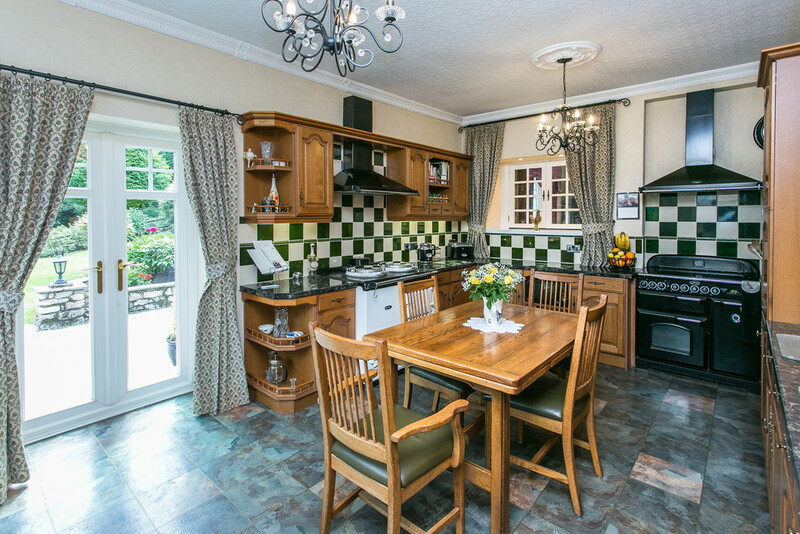 Completing the ground floor accommodation, the homely dining kitchen includes a range of traditional wooden wall, drawer and base units. 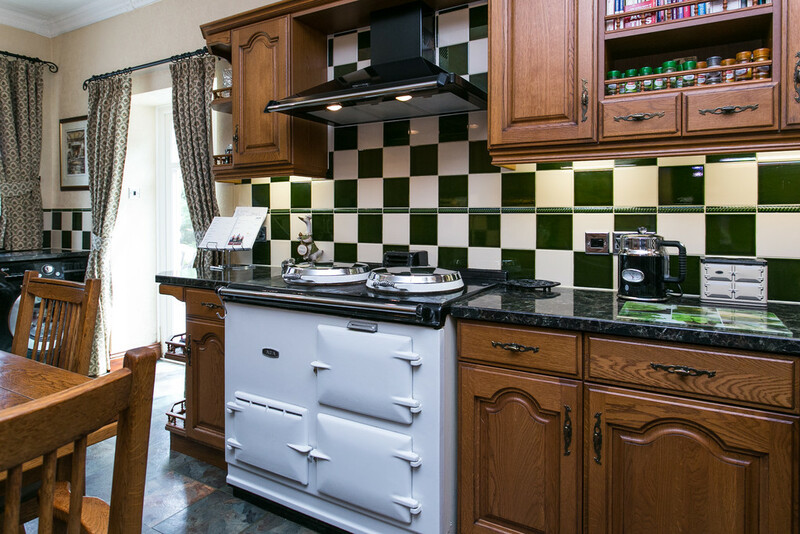 Fitted appliances include a 2 door AGA, Classic Rangemaster, integrated fridge, freezer, with space for a dishwasher and washing machine or dryer and there is a Blanco sink and a half with sliding glass drainer. The floors are again finished with quality Karndean and french doors lead out onto the terrace. 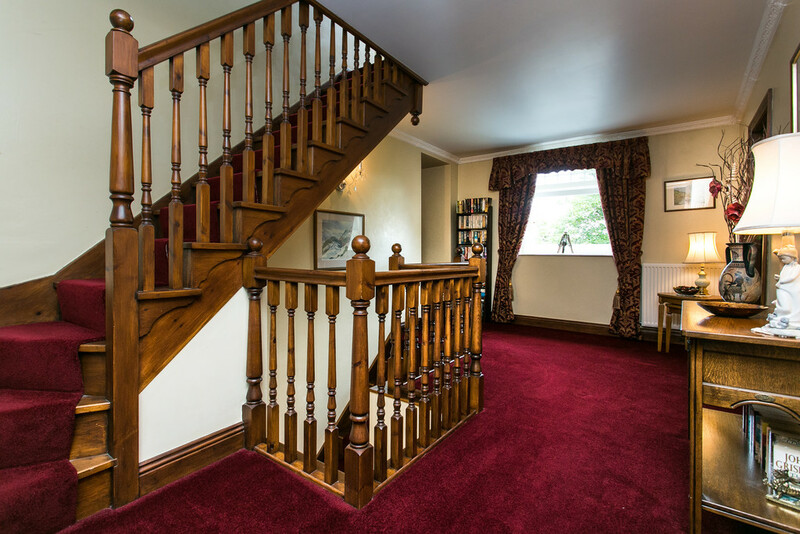 A traditional spindled staircase leads up from the entrance hall to the spacious first floor landing with a large window enjoying a lovely outlook over the local countryside to the rear. 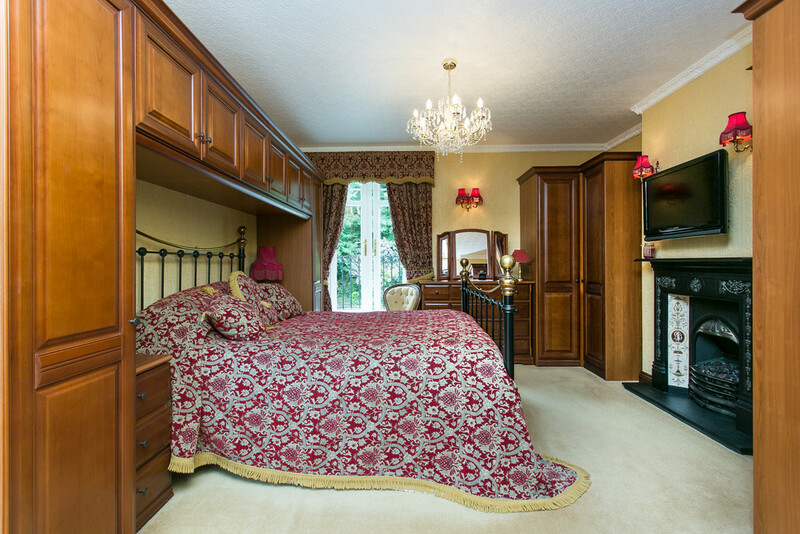 The master suite is privately tucked away from the rest of the accommodation. Boasting a dressing room with a suite of fitted wardrobes and an ensuite shower room, the room itself is of generous proportions. 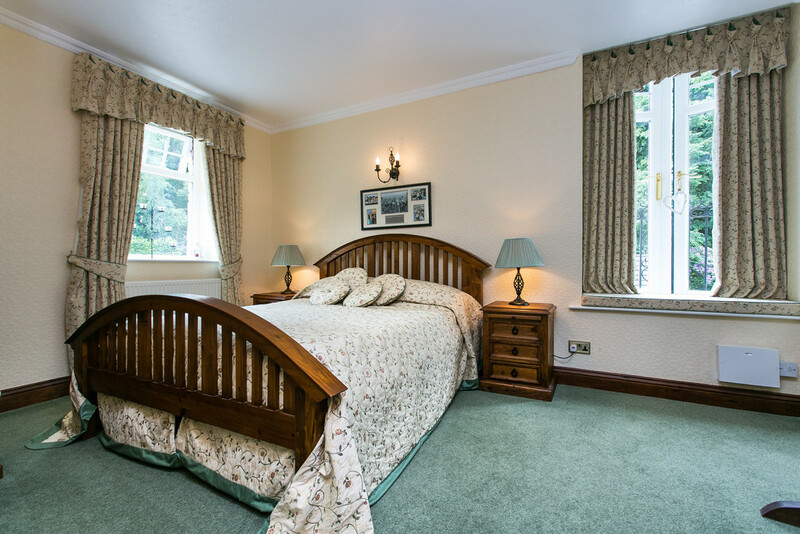 With a range of fitted bedroom furniture and french doors opening onto a wrought iron juliette balcony from which to take in the stunning surrounds, there is also an electric fire set within a traditional fireplace featuring Victorian style tiling. There is a further double bedroom on this floor that again features a juliette balcony and door leading into the ‘Jack n Jill’ family bathroom. 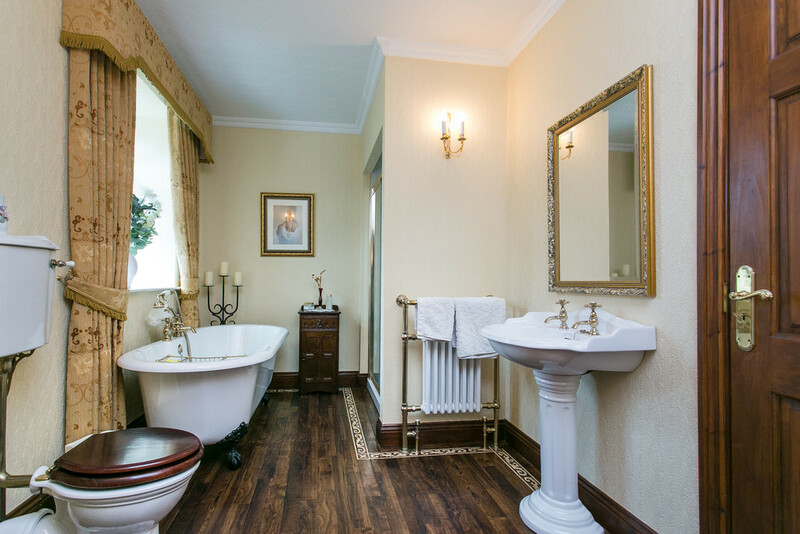 Fitted with Traditional English sanitaryware that includes a freestanding clawfoot bath and double shower cubicle. Stairs continue up to the second floor, creatively converted within the former attic, this is a fantastic space especially for children. 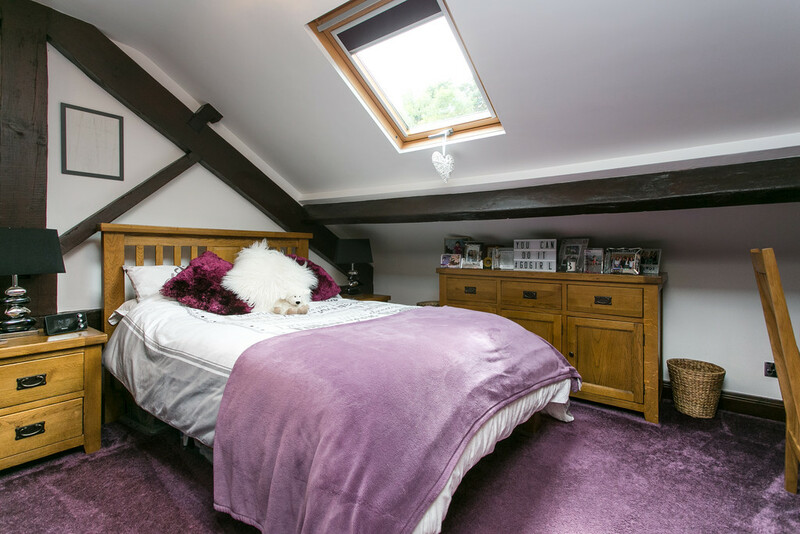 Comprising of two double bedrooms with vaulted ceilings and Velux windows to really capture the stunning views over the local countryside. There is also a reception space up here currently utilised as a home office however it would make for the ideal play room and hangout for children. Furthermore there is also a WC and plentiful undereaves storage. 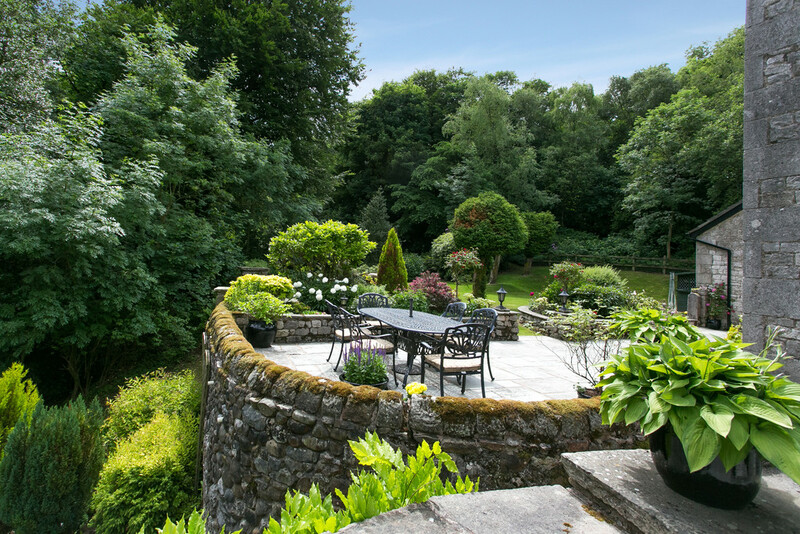 Set within an approximate 1.5 acre plot that is laid to both informal and formal gardens, the outside space of The Old Coach House is an absolute delight and true rarity for such a central village location. A raised flagged terrace leads around the side to the rear of the property, affording ample space for entertaining and outdoor dining. 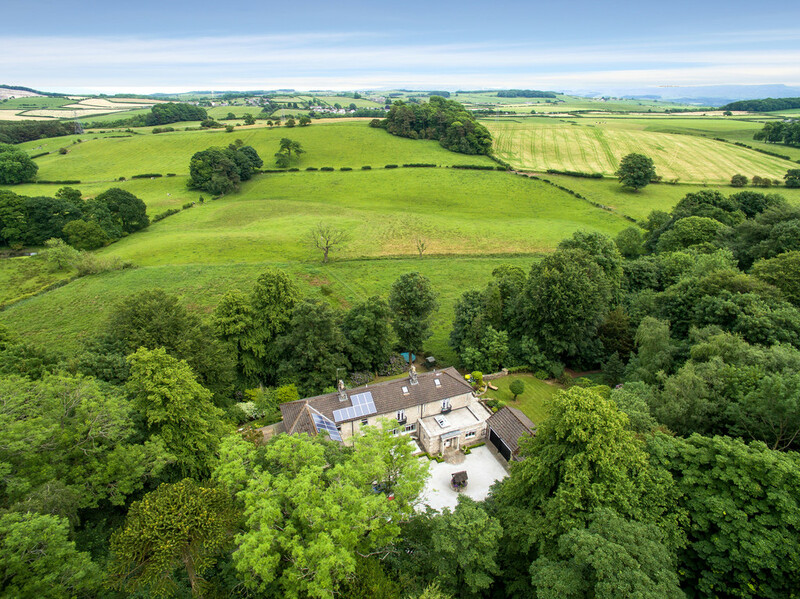 Its elevated position is perfect for capitalising on the countryside views and is a great space for spotting the local wildlife which includes deer and pheasants. Stone steps lead down from the terrace to a lower lawn. Looking back at the impressive rear elevation, footed with an array of colourful plants and bushes including Wisteria and glimpses of the rose garden upon the terrace. A formal lawn to the side is spotted with Yew trees and leads into the adjoining woodland, stocked with native and imported trees as was the fashion in the Victorian era. The woodland is perfect for families to enjoy an adventure, proving relatively low maintenance and a great addition to this fantastic plot. 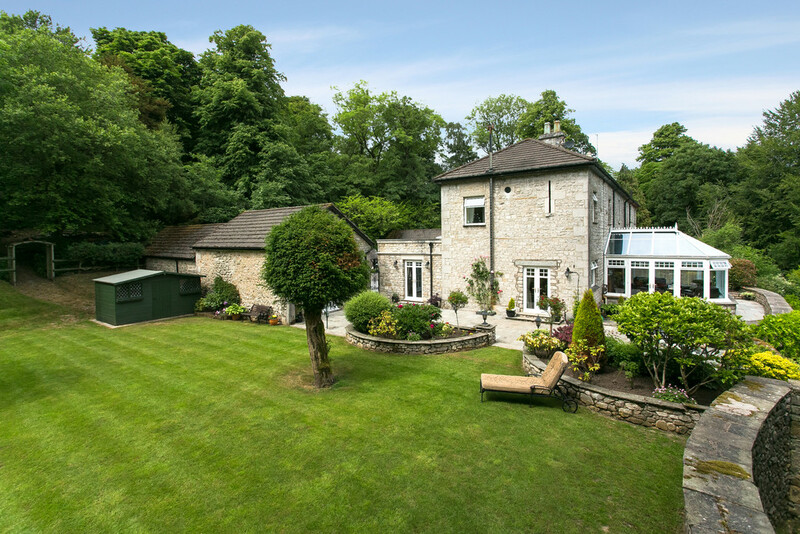 As previously mentioned, the gravelled turning circle features a lovely original well to the middle and the detached outbuilding presents potential opportunity for conversion into a separate dwelling if required, subject to relevant planning of course. At present, the double garage is utilised for storage and utility space. It adjoins the triple carport and further into the former stone built kennels that are now practically utilised as a log and bin store. Directions From Lancaster take the A6 north towards Bolton le Sands, for approx 3.5 miles travelling through slyne. 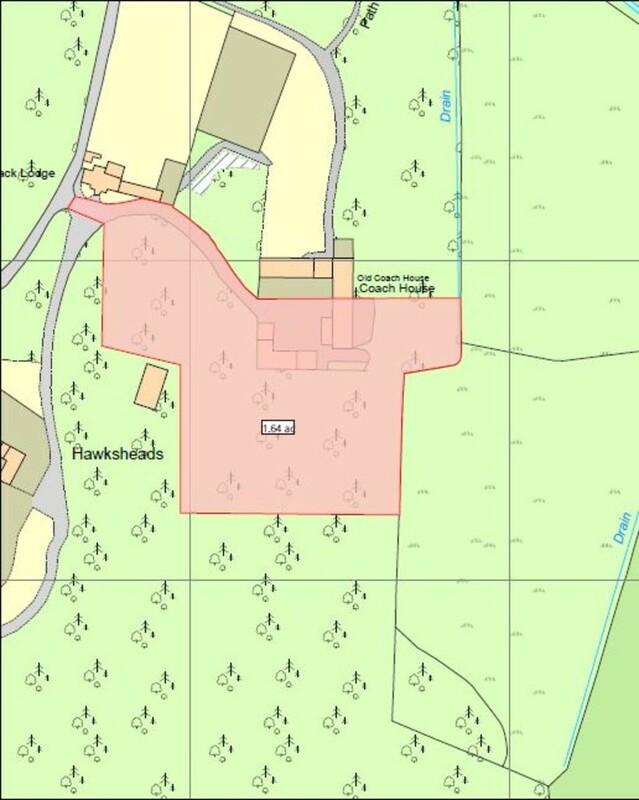 After passing the speed camera take the turning right on to Main Road, follow this road for 0.3 miles, you will pass a Church on your left, take the next right, (sign post to Nether Kellet) then take next left fork on to Mount Pleasant Lane (infront of the primary school), follow the lane along and the entrance to the property is on your right hand side.